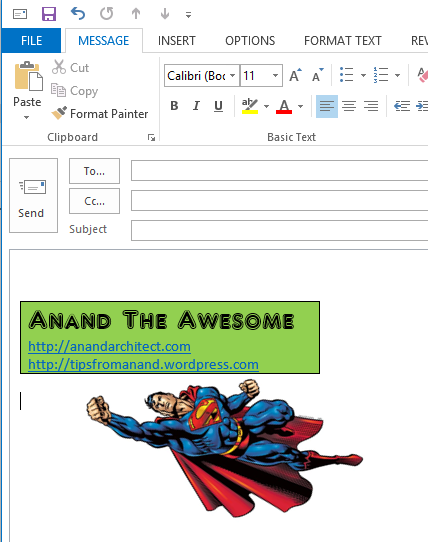 Outlook 2013 (&2010): Pictures in Signature–How to? In Outlook 2013 (& 2010) if you paste or insert an picture (e.g., Logo) in Signature Editor, it is not resizable. You are stuck and not able to do a correct sized picture in Logo. But No worries. There is an very simple trick that you can make the signature however you want. Type and insert the picture and make the signature that way you want. Now Copy the whole thing in the compose window. Click Insert –> Signature –> Signatures..
Click New and type a name, click OK. 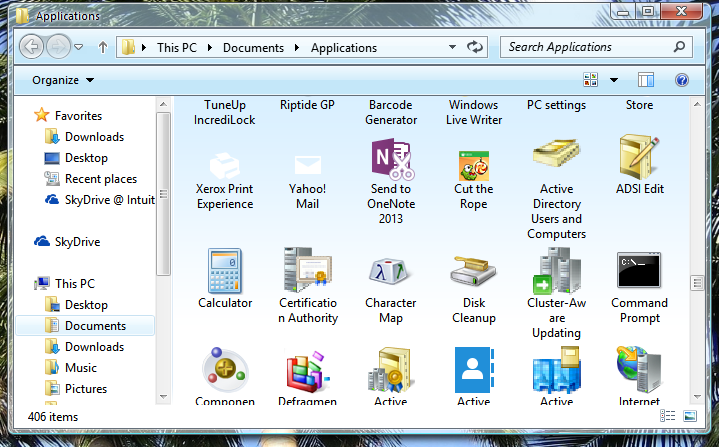 If you liked how OS X have an Applications folder, you can do that in Windows 8.x also. It’s very easy. 4. That’s all. Open the Applications folder, you will see all installed applications on your computer including Metro apps.